New York : An injectable drug commonly used to treat Type 2 diabetes cannot improve the condition of patients with a high-risk of heart failure, a study has found. 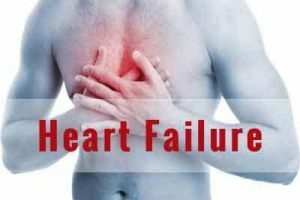 Heart failure is a chronic condition in which the heart does not pump enough blood through the body. The findings showed that despite improvements in blood sugar control, the use of the drug liraglutide did not improve the clinical stability or pumping action of the heart in patients with advanced heart failure. “Abnormalities in the way the heart generates energy from fats and glucose, including resistance to the normal actions of insulin, have been shown to contribute to a patient’s risk of heart failure. But no current heart failure treatments target these metabolic derangements,” said lead researcher Kenneth B. Margulies, Professor at the University of Pennsylvania. The results indicate that while liraglutide acted as intended, controlling blood sugar and promoting weight loss in diabetic participants, there was not a significant impact on heart failure. “Liraglutide had no effect on blood sugar or weight loss among the non-diabetic patients in the study,” Margulies added in the work published in the Journal of the American Medical Association (JAMA). One-third of patients with heart failure also have diabetes, and other treatments to lower blood sugar in diabetics have increased the risk of heart failure, Margulies noted, adding that it remains important to establish the safety of any diabetes therapy in patients with heart failure. Additional studies, will ultimately determine whether GLP-agonists, like liraglutide, can be used safely among patients with various stages of heart failure, the researchers revealed. For the study, the team randomised 300 diabetic and non-diabetic participants with high-risk heart failure those who had been hospitalised for heart failure within the past two weeks into two groups: those to receive daily liraglutide injections and those receiving daily placebo injections. During the six-month study period, measurements of heart structure and function with echocardiography, serial assessments of subjects’ activity tolerance with six-minute walk tests, and quality of life questionnaires did not reveal any significant favourable or unfavourable effects of liraglutide in these patients.